Creamy Lemon Pasta with Tuna. 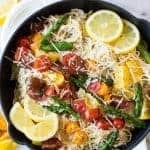 The perfect springtime dish! 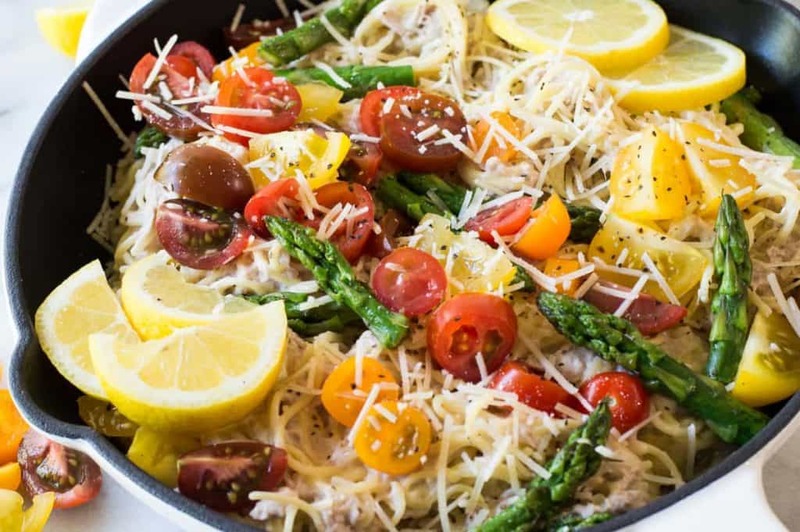 Asparagus, tomatoes, tuna and pasta noodles all coated in a creamy lemon sauce. 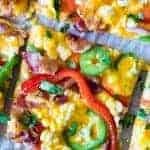 Easy to make, sure to please, and loaded with fresh flavors and colors! 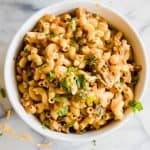 Have you ever had a tuna noodle casserole? It’s completely comforting and basically like a warm hug. So when Chicken of the Sea asked me to use their Chicken of the Sea® Chunk Light Tuna in Water, in a recipe, my mind instantly went to the classic casserole. But then I remembered I live in Texas and it’s hot, and the last thing I want right now is a warm hug! So I decided to lighten things up, freshen it up, and add a little spring to a pasta dish featuring tuna. And that is how this Creamy Lemon Pasta with Tuna was born. This dish is super easy to toss together, and even better? It’s pretty much customizable. 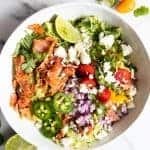 You can load it up with whatever fresh produce is in season or that you prefer. I went for some juicy tomatoes for lots of color and fresh asparagus–because I’m obsessed with it. You could easily substitute for some snap peas or carrots. Really, whatever you would enjoy the most. The creamy lemon sauce is basically the best thing ever and I want to pour this sauce over everything now. 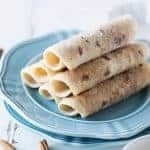 It’s made with cream (that’s how you know it’s going to be good!! Although if you prefer not to walk on the cream side of life you can sub this with a milk of your choice.) parmesan cheese, garlic, a little salt and pepper, and the lemon. Lots of lemon. We’re talking juice, we’re talking zest. It’s all in there. And lemon is the PERFECT pairing for the Chicken of the Sea Chunk Light Tuna! The star of the show. The tuna is what brings this dish to life and really turns it into a fulfilling meal. Plus it brings some needed protein to the plate. This dish is going to be the highlight of your spring. 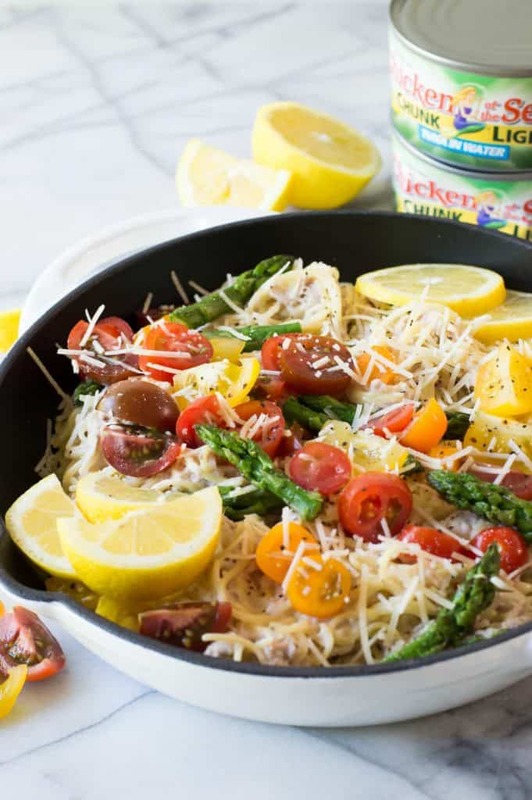 And now instead of craving the warm hug of a tuna noodle casserole you will be craving the light and fresh flavors of this springtime Creamy Lemon Pasta with Tuna! 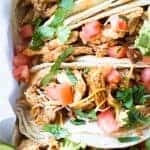 Do you have a wonderful family favorite recipe or maybe a new idea floating around in your mind that you would love to try out using Chicken of the Sea products? There’s a fun contest that they will be running to help celebrate World Tuna Day that you have to enter!! Put on your apron, get in the kitchen and maybe you could be the winner! April 3-21: Submit your recipes in the contest for a chance to be featured on the Official Mermaid’s World Tuna Day Menu!! Click here to enter! April 24-28: After three weeks of gathering recipe submissions, fans of Chicken of the Sea will be prompted to go the gallery and vote for their favorite recipe for each category. May 2: On World Tuna Day, the Official Mermaid’s World Tuna Day Menu will be announced and a Facebook Live event will be hosted on Chicken of the Sea’s Facebook page to announce the grand prize winner. 8 winners can win VISA gift cards giveaways for entering the contest. Thewinners selected will be featured on the Mermaid’s Official WTD menu and beentered to win the grand prize. One (1) Grand Prize Winner will be chosen from the 8 winners to win an extraordinary trip for two to FIJI! In a large pot over high heat bring about 6 cups of water to a boil. Add the thin spaghetti noodles and allow to cook for about 5 minutes, or until noodles are tender. Strain and set the noodles aside. In a large saucepan melt the butter over medium heat, add the garlic cloves and cook for about 1 minute until fragrant. Pour in the heavy cream, lemon juice and lemon zest, salt and white pepper. Stir until well combined. Add in the cheese and continue to cook over low to medium heat stirring often until the cheese is melted. While the sauce is cooking prepare the asparagus. Heat a small skillet over medium heat, add about a tablespoon of olive oil. When heated, add the asparagus and sprinkle with a pinch of salt and pepper. Cook for about 5-7 minutes until desired tenderness is achieved. Add the noodles to the sauce and stir until coated. Stir in the drained 1 (12 oz) can Chicken of the Sea® Chunk Light Tuna in Water. 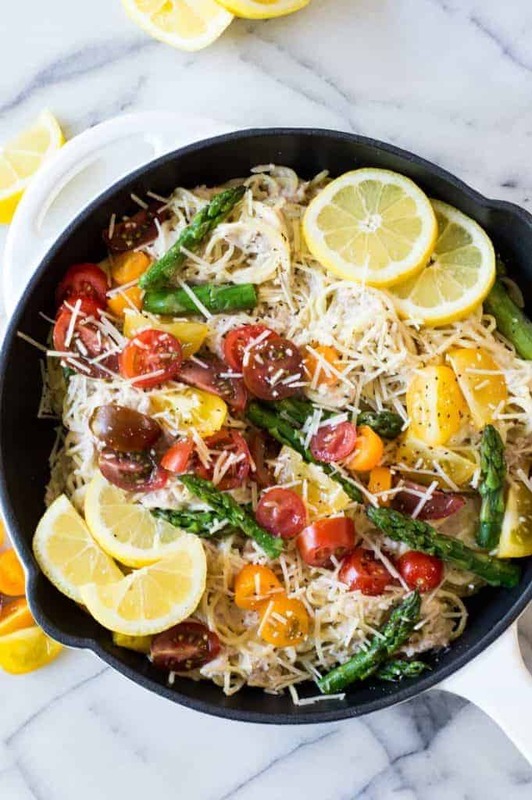 Top the pasta with sliced tomatoes and cooked asparagus. Serve warm and enjoy! Top with additional parmesan cheese or fresh ground black pepper. 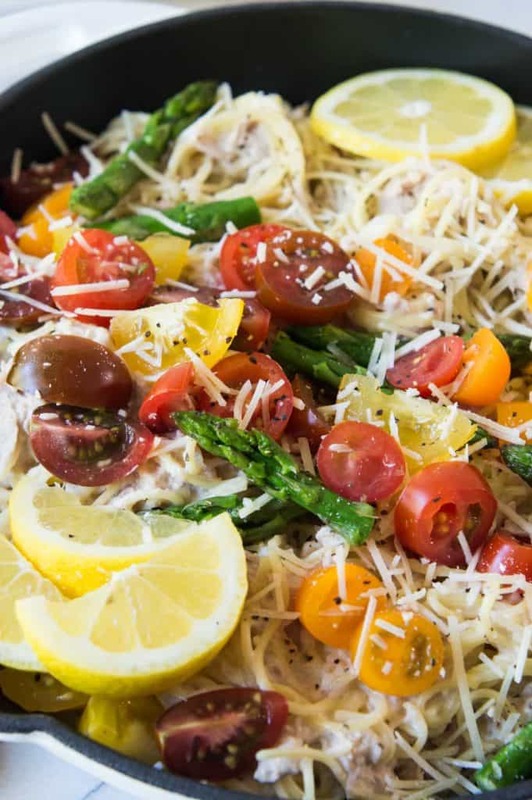 WANT TO TRY THIS CREAMY LEMON PASTA WITH TUNA?! PIN IT to your PASTA, or DINNER board TO SAVE FOR LATER! This looks great! Very springlike with the lemon/asparagus combo.